Operational risk is the risk that your organization will experience a major failure, shutdown or unexpected disruption of some segment of your business if a vendor’s processes, people or systems fail. Operational risk goes hand in hand with your reliance on a vendor and is typically higher with vendors that provide services such as outsourcing, IT systems and data. There are two good ways to take a proactive approach and mitigate operational risk: perform periodic on-site and/or due diligence reviews and create a contingency plan should you experience a failure with a risky vendor. These two risk-mitigation activities go hand-in-hand, especially for mission-critical vendors. Monitoring daily performances that don’t meet the standards required is also a good indication that in a time of risk there is a higher risk of disruption or failure. Deliveries were late, and shortages were piling up with no relief in sight. The primary supplier was actively blaming the secondary supplier for the bottleneck, claiming that their supplier was behind in their coating process. They began casting aspersions on the supplier’s lack of process control, communication and even hinted at ethical issues. Organization understand the importance at managing competitive solicitations and negotiating good pricing. But negotiating a good price has little to do with managing costs, which comes from enforcing contract compliance, effectively managing the procure-to-pay cycle and performing periodic cost and contractual audits. 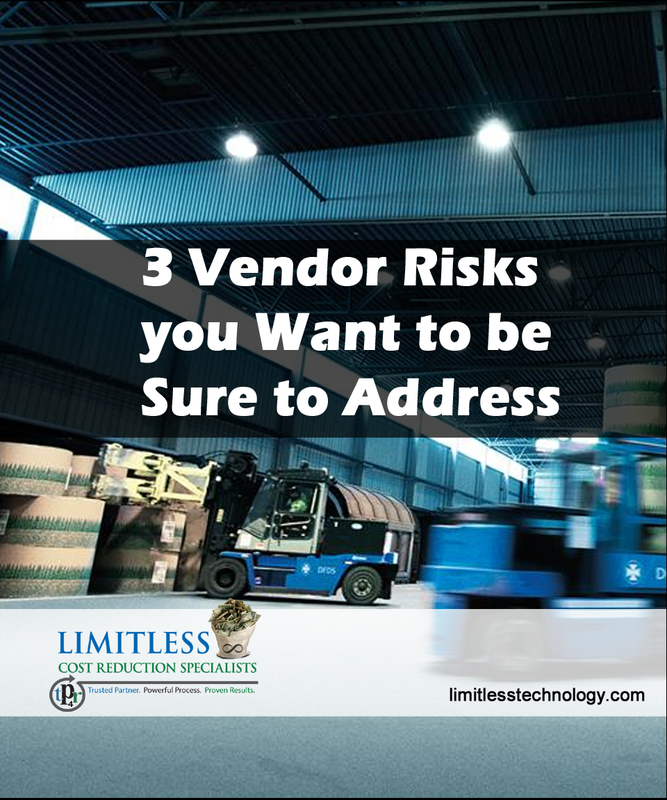 It’s the work done after the vendor contract is negotiated that mitigates the risk of excessive costs. The other financial risk relates to the reliance on vendors who support your own revenue-producing activities. Examples include fundraising companies, outsourced service providers and fulfillment centers, to name a few. It may also include vendors whose technologies you use to process financial transactions. Problems with these vendors may delay access to revenue or, in the worst cases, result in lost revenue for your organization. 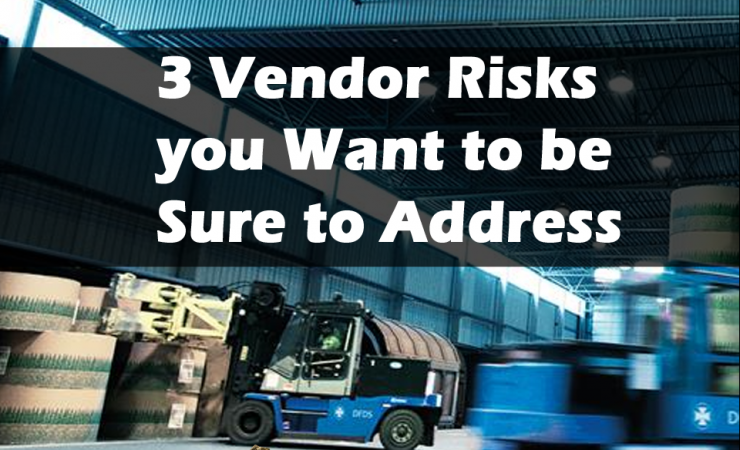 It’s important to identify and segment these types of vendors to design the most appropriate diligence and oversight activities, and to also integrate with your vendor management operational risk planning as it relates to contingencies. This has become a HOT TOPIC in many industries. Nonprofit organizations like health plans, healthcare systems and credit unions, along with those that receive Federal grants, are heavily regulated by Federal agencies. And in many cases certain regulations pass through to third party vendors. Regulatory compliance risk is the risk that a third-party vendor will violate a law or regulation that your organization has placed on them as a requirement for doing business with you. Ensure your risk management activities enable you to evaluate how well your vendors are complying with the appropriate laws and regulations. Even though a supplier may be remarkably reliable, the fact that their component or ingredient is absolutely essential to your finished product makes them high-risk. Partner with a company that oversees these risks to proactively avoid business disruption is key to avoid potential problems. Audits aren’t just necessary for validating new suppliers––they’re an important tool for maintaining quality and compliance over time. The recent rise in outsourcing only further underscores the importance of having a plan in place to conduct regular evaluations led by skilled quality professionals. 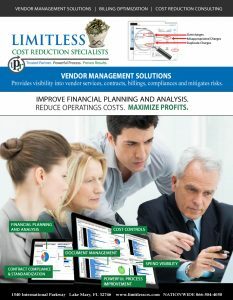 Contact LIMITLESS Cost Reduction Specialists to determine what your Vendor Management Operation and Processes needs are to put a Vendor Risk Plan in place, manage vendor contracts, audit billing for optimal pricing while maintaining quality, negotiate contracts on your behalf and as the result improving your business bottom line. Vendors Taking Advantage? 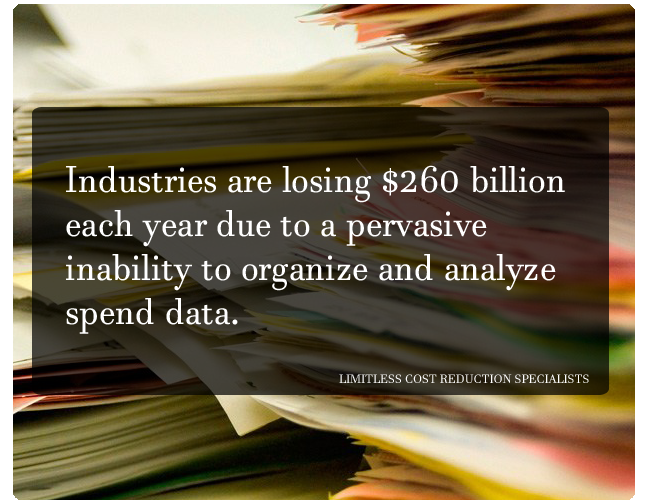 Vendor Management Issues can Cost Businesses Thousands.